In this rustically designed, high-quality, newly renovated holiday home in country house style in La Vegueta, a touch of peace and calmness awaits you in the entire property. Both bedrooms, the bathroom with shower, the kitchen with dining area and the living area are very wide and spacious. Relax in your private garden with outdoor barbecue and outdoor dining area with outdoor grill. WLAN internet connection is also available. Tinajo, the next bigger town, with bars, bakeries, restaurants, banks and pharmacie can be reached by car in about 5 minutes. You can reach Famara, La Santa or the Timanfaya National Park in about 10 minutes. The airport and the main tourist resort of Puerto del Carmen is about 20 km from La Vegueta. Playa Blanca, in the south is about 30 km away. This holiday home is a centrally located, ideal and quietly situated starting point to visit the island's sights and beaches. This is a great house: lots of room – a huge kitchen, two big bedrooms, a large living room and lots of room outside. It’s perfect for a family of four or two couples. The decoration is individualised although in details it is IKEA. There is plenty of kitchen help such as pots of herbs, pepper, salt etc and a nice bottle of wine supplied. The wifi is also very strong (the password is on the underside of the router which is behind the TV). The place was spotless (the garden, too!) and we had no complaints on that score. It’s a great place to relax. Yuco is in the middle of the island and all places can be easily reached – car hire is very useful. Be careful with the shower when it is wet – it is very easy to slip – I mean really easy to slip. Be very careful… The place needs a ‘’book’’ with all the information in – perhaps the managers will supply it. All in all, this is a great place to be on Lanzarote. We would certainly return here the next time we come and we recommend it completely. It would be nice if the wifi code was visible somewhere. 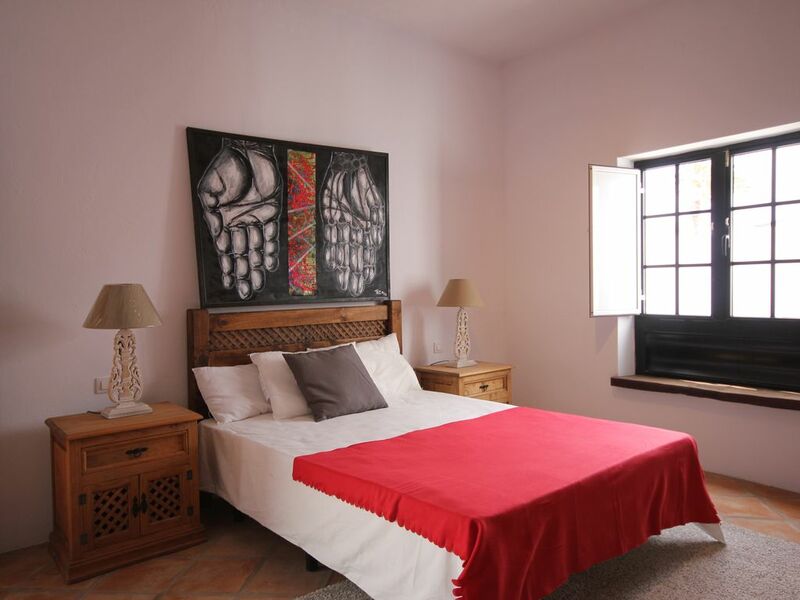 A well equippped casa with a nearby sociadad for drinks, two restaurants within walking distance. Great BBQ and lovely sun beds. Big rooms and lovely walks nearby. Fantastic shower - just need to take care as it is a bit slippery. Would recommend others to stay. The rooms are spacious, several seating areas to enjoy the view and the garden. Fantastic shower - just take care as it is quite slippy. There is a sociadad within 10 min walk for drinks, food only on a Sunday. There are two restaurants in neighbouring villages, walkable in 20 mins along quiet back roads. There is a local supermarket with fresh bread. Would recommend this Refugio to others and would be happy to stay again. Lovely villa, good facilities, beautiful garden and terrace and quiet location. We really enjoyed our stay. Het zou fijn zijn als er wat instructies waren van het huis.